With declining earnings and sluggish revenue growth in the last quarter, The Coca-Cola Co (NYSE:KO) has initiated financial reformations with over 1,800 job cuts at its global offices. The primary locations enduring the consequences would include its Atlanta headquarters and other international locations. According to the beverage maker company, the management has identified up to 1,800 employees in its Corporate, Coca-Cola North America, and International units who are likely to lose their jobs in the current round of layoffs. The company has initiated the process to inform these employees at its corporate and international locations. These job cuts have followed The Coca-Cola Co (NYSE:KO)’s announcement made in October last year where the company mentioned its financial restructuring strategy under which, it would save up to $3 billion in annual costs by 2019. The CEO of Coca-Cola, Muhtar Kent, said last year that the beverage maker needs a quicker and leaner management as well as operational structure. The company is introducing another strategy called ‘zero-based’ budgeting for its management layer, under which the managers would have to justify all the necessary expenditures. 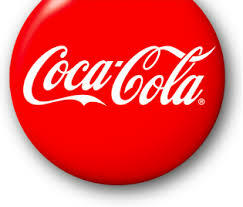 At the same time, The Coca-Cola Co (NYSE:KO) is likely to cast off its bottling and distribution assets held globally. Market experts and analysts have appreciated the move and Joseph Agnese, S & P Capital IQ equity analyst, said that this is a good start for the company but these job cuts are likely to follow more in future. The shares of Coca-Cola rose 1.21 percent after the announcement closing at $43.51.